In June 2010, Mahmood Mamdani was appointed Director of the Makerere Institute for Social Research (MISR) in Kampala, Uganda, which he since developed into what is arguably the premier center for graduate education in the social sciences and the humanities on the continent. On December 1, 2018, at the Annual Meeting of the African Studies Association in Atlanta, Georgia, Mamdani delivered the Hormood Lecture. His theme was “Decolonization and higher education: the experience of Makerere Institute of Social Research.” Parts—on the history of intellectual debates over the nature of the African university—of Mamdani’s lecture have appeared in this London Review of Books article. 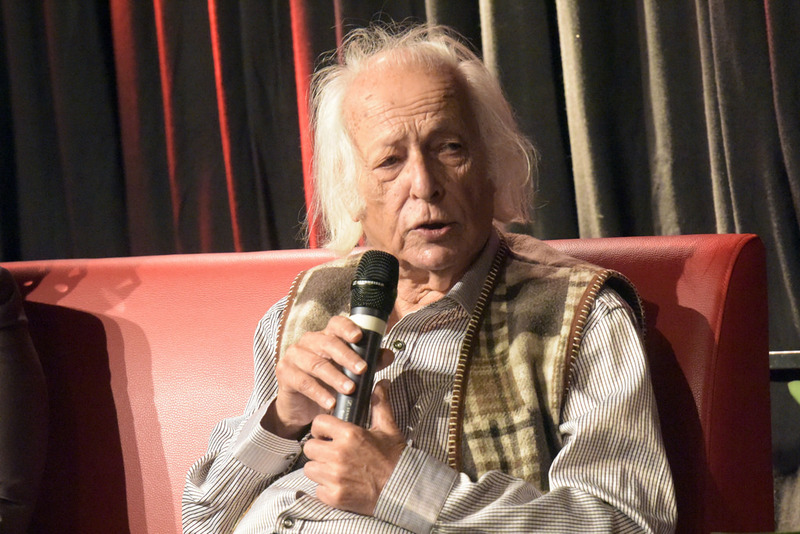 A major influence on Mamdani’s mission for MISR was the late Samir Amin, the Egyptian intellectual who passed away in August 12, 2018. Soon after Amin passed, we published a post by Max Ajl on Amin’s contributions to historical social science—and revolutionary theory. Ajl concluded that Amin’s contributions span an almost mind-boggling breadth. After hearing Mamdani remembering Amin, I approached him about publishing that section of his remarks on Africa is a country. He obliged. – Sean Jacobs. Another source of inspiration for the post-doctoral program at MISR was CODESRIA. The Council for the Development of Social Research in Africa, was established in 1973. Its first director was Samir Amin. Samir died a few weeks ago. There has been an ongoing discussion of his life and work in CODESRIA circles, but none so far as I can see at the African Studies Association. The reason I think points to an important difference between ASA and CODESRIA. I will offer a few thoughts on this. Since I have been an active member of CODESRIA since 1975, and since CODESRIA was an important influence on MISR, I would like to say a few words in appreciation of its founder, Samir Amin. I will confine myself to his intellectual work. Samir’s doctoral thesis, the multi-volume Accumulation on a World Scale, was written on a vast canvass. It presented an ambitious outline agenda, one that Samir spent a life time filling and fulfilling. Samir was hugely prolific. Among his writings, there were two which came closest to taking up the challenge formulated in his doctoral thesis. The first was Eurocentrism and the second Unequal Development. I have taught Eurocentrism at least ten times over the past two decades. Every time, I am amazed at the world historical grasp that informed its author. Samir was more a man of history than a man who we could identify with a particular place. The places that most come to mind are Cairo, Dakar and Paris. Even if Samir moved between them, he was a moving target, a man of no fixed abode. His life resembled that of Marx, a man without a homeland, but one whose home was a chosen commitment to a historical project. Like Marx, Samir was a man of a fixed time, the modern. I remember being struck by Samir’s critique of Edward Said’s politically important work, Orientalism. Samir objected to what he considered a trans-historical critique. He argued that rather than present us with an ahistorical discourse of Western culture, as if it were timeless, Edward should have given us a critique of the modern Western discourse on the Orient. I believe Samir was the first to formulate this critique, which has since been repeated over and again by many others. Even though he thought of his own writing as grounded in Marxism, Samir is best known for his works on dependency theory. He introduced an entire generation of young scholars, myself included, to think of under-development in historical terms. The work I found truly compelling was Unequal Development, and its companion volume, De-connexion. One gave a historical account of the present, the other charted a way forward. As Marx never tired of repeating, the test of theory lies in practice. I recall Samir telling us of when he received a call from Thomas Sankara asking him to travel urgently to Burkina Faso to discuss a challenge. On arrival, Samir was told by Sankara: “You have told us that we must have the courage to de-connect. Before we could gather that courage, the French have taken the lead and de-connected us. What shall we do?” Samir was flummoxed. He admitted to us: “I had not imagined that the question of de-connection would first arise in a country as poor as Burkina Faso.” It seemed to illustrate a practical dilemma: whereas prescriptive formulas—as short and succinct as “de-connexion”—seemed to apply to one and all without discrimination or difference, each case is in practice different and so are the consequences of the application. It seemed to raise a problem similar to that faced by the Russian Revolution: how was one to achieve “socialism in a single country,” in this case “de-connexion of a single country”? This entry was posted on Thursday, January 17th, 2019 at 00:03	and is filed under Uncategorized. You can follow any responses to this entry through the RSS 2.0 feed. Both comments and pings are currently closed.